We’d love your help. Let us know what’s wrong with this preview of The Anarch Cookbook by Andrew Greenberg. 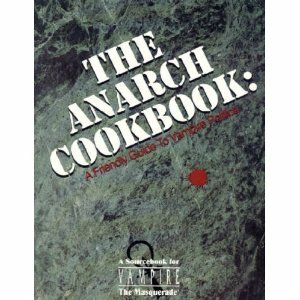 To ask other readers questions about The Anarch Cookbook, please sign up. A delightful look at the "third" faction among the vampires in the World of Darkness. Read this as prep for a potential future anarch campaign, and already the rough outline and a few ideas besides that. On to the two other Anarch-books.